Photo: Ted Kagan, California Senior Legislature senator from San Diego County. March 25, 2019 (San Diego) - Have you ever had ambitions to run for office but found the prospect of lawn signs, advertising and public appearances daunting? If you’re a San Diego County resident over the age of 55, you can still fulfill your political aspirations without the rigors of a major campaign. The California Senior Legislature offers older adults the opportunity to advance issues important to them and advocate for legislation at the state level. October 21, 2018 (San Diego) - While 94 percent of Americans believe there is value and knowledge seniors can pass along to children, under 30 percent actually know of places in their community that bring generations together. This issue is compounded when families are spread out across the United States and even the world. Grandparents aren’t always able to interact with grandchildren in person. Thankfully, intergenerational programs can bring seniors and youth together in ways that better the society at large. December 30, 2017 (Spring Valley) -- Keeping the brain sharp is vital to enjoying a full and rewarding lifestyle at any age. Dr. Linda Sasser will present simple strategies to maintain and even improve brain function during “Keep Your Brain Fit and Your Memory Sharp,” a free program scheduled for Tuesday, Jan. 23, 2018 at 2:00 p.m., at Mount Miguel Covenant Village, 325 Kempton St., Spring Valley. October 8, 2017 (La Mesa) - The La Mesa Chamber believes that being a good community leader includes assisting those in need. Each year we assist La Mesa homebound seniors and this year we shall assist 24 wonderful seniors - 20 women and 4 men. We collect items to make their holidays bright and meaningful. September 10, 2017 (San Diego) — Scammers posing as Social Security employees are calling people and trying to con them into giving out personal information that can be used for identity theft, warns the American Association of Retired Persons (AARP). The swindlers claim that recipients are due a cost of living increase in their Social Security benefits, then ask for personal information that could be used to rip off your Social Security payments by changing your address or account information. September 8, 2017 (La Mesa) - The Senior Resource Center at Sharp Grossmont Hospital offers free or low-cost educational programs and health screenings each month. The Senior Resource Center also provides information and assistance for health information and community resources. This month you can learn about Medicare and drug coverage updates, how to prevent fractures, get free mental health and blood pressure screenings, or participate in a walking program. Scroll down for full details. For more information, call 619-740-4214. 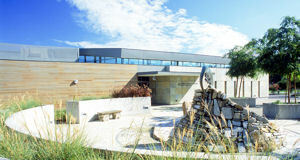 For other programs, call 1-800-827-4277 or visit their web site at www.sharp.com. June 14, 2017 (La Mesa) – Zentangle ®, or as some call it “doodle art,” a fluffy seal named PARO-a therapeutic robot, and a guitar teacher who also sings in Uto-Aztecan Luiseño--- these are all part of the offerings at San Diego Oasis -Lifelong Adventure. Oasis held its grand opening at its new location in La Mesa’s Grossmont Center, where these adventures and more are now available to local residents ages 50 and up. March 27, 2017 (Lakeside) -- If you’re a senior citizen baffled by all those high-tech gadgets, now there’s a solution for you. The County’s Mobile Tech Lab is coming to Lakeside’s Community Center (9841 Vine St.) on March 31st from 1:30 to 3:30 p.m.
March 14, 2017 (Washington D.C.) – Older and poorer Americans could be paying over half their income to buy health insurance under the House Republicans’ healthcare plan, the nonpartisan Congressional Budget office (CBO) has calculated. A 64-year-old earning $26,500 would be expected to pay a whopping $14,600 a year for healthcare – far more than the $1700 a year premiums under Obamacare. The bill would reduce the federal deficit by $337 billion by 2026, the CBO also found. But that savings would come largely on the backs of those who can least afford to pay more. March 13, 2017 (San Diego) -- Jewish Family Service of San Diego (JFS) has been awarded $70,000 by the San Diego Foundation’s Age Friendly Communities Program to help improve the quality of life for older adults in San Diego through On the Go Navigator – a new addition to JFS’s existing On the Go program. December 28, 2016 (Washington D.C.) – A growing number of senior citizens are discovering that their Social Security benefits have been slashed due to defaults on decades-old student loans. June 2, 2016 (San Diego) -- Senior citizens and savers throughout the fifty states and Puerto Rico have taken tens of billions in municipal bond losses. It has become clear that the Rating Agencies have been knowingly and intentionally issuing good credit ratings for technically bankrupt municipal entities in exchange for healthy fees. January 14, 2016 (San Diego) -- A special forum will be held in San Diego on February. 11 to educate seniors and caregivers on how to avoid financial scammers and other crooks. December 15, 2015 (San Diego) - During the holiday season, members of the Sheriff's Senior Volunteer Patrol work hard to make sure seniors who live alone feel extra special. Throughout the month of December, Senior Volunteer Patrol members will be delivering gift baskets or hot meals to seniors enrolled in the Sheriff's You Are Not Alone program. June 18, 2015 (San Diego)--On the eve of a special conference in San Diego on aging, groundbreaking initiatives aimed at helping the county’s oldest and most vulnerable residents gained national recognition. June 25, 2013 (La Mesa) – The Grossmont Healthcare District’s Dr. William C. Herrick Community Health Care Library, 9001 Wakarusa St. in La Mesa, will host a free senior discussion group presentation on “The Importance of Sleep,” from 10 to 11 a.m. on Wednesday, June 26. The public is invited to attend, and RSVP is not required. The speaker will be Jason Chagnon, senior technician with Grossmont Hospital Sleep Disorders Center. 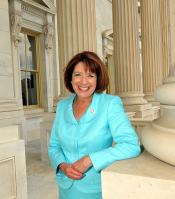 March 12, 2013 (San Diego) – Congresswoman Susan Davis (D-CA) and Rep. Filemon Vela (D-TX) introduced legislation to prevent diabetes in seniors and rein in health care costs. The Medicare Diabetes Prevention Act (H.R. 962) would extend the proven benefits of the National Diabetes Prevention Program (DPP) to seniors under Medicare. July 24, 2012 (San Diego) – Retired Marine Corps veteran and senior advocate Steve Schweitzer was named Director of Outreach & Client Services for InTouch at Home, a Senior Resource Group, LLC (SRG) company based in Solana Beach, California. May 13, 2012 (Santee) -- The 13th annual East County Senior Health Fair will be held from 10 a.m. to 1 p.m., Friday, May 18, at the Santee Trolley Square shopping center, 9850 Mission Gorge Road, in Santee. Admission is free. The public is invited to attend. The East County Senior Services Providers, a coalition of community organizations and agencies that serve seniors in the East County and organizers of the health fair, said more than 60 exhibit booths will include free health screenings for stroke, blood pressure, blood glucose/diabetes, video otoscope and more. April 16, 2012 (La Mesa) -- The Grossmont Healthcare District’s Dr. William C. Herrick Community Health Care Library, 9001 Wakarusa St. in La Mesa, will host a free seniors discussion group on “Chronic Pain, Natural Solutions to a Common Problem” disease from 10 to 11 a.m., Wednesday, April 25.